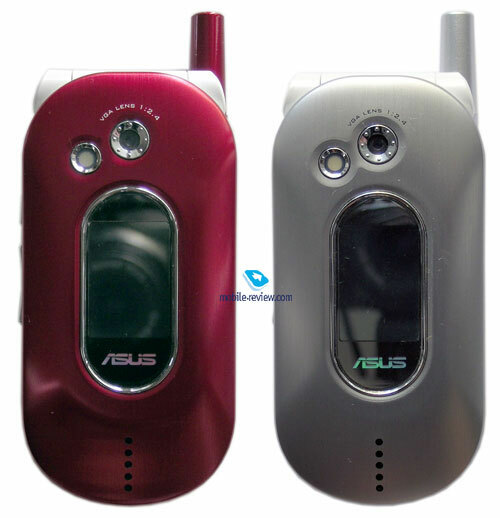 The company of Asus is widely known as a notebook and PDA component manufacturer. 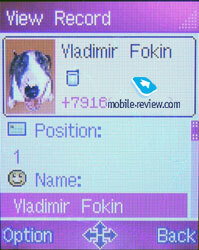 And not so long ago it decided to enter the mobile phone market. 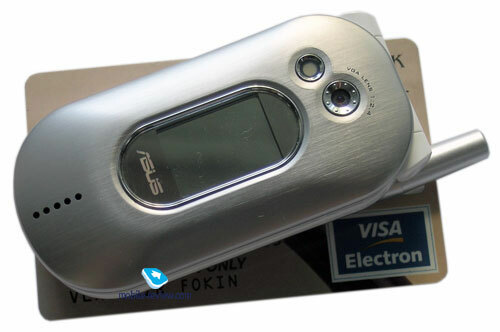 At the moment a low-end model Asus V55 is available on sale, in Russia it is sold under the Fly trademark. 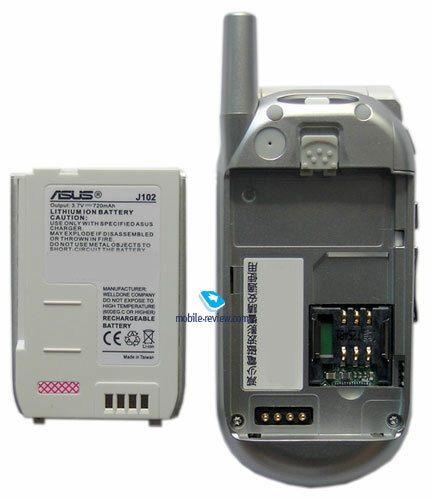 Also Asus introduced the J101 in a clamshell form-factor, but the model still was not launched. And today the review will tell about the J102, which is a slightly modified version of the J101. The J102 is a small clamshell with a VGA-camera and two colour screens, the dimensions form 82x40.5x21 mm, the weight is 80 gram. The design seems quite interesting; it's an oval with the upper part of metal and the rest of a qualitative plastic. 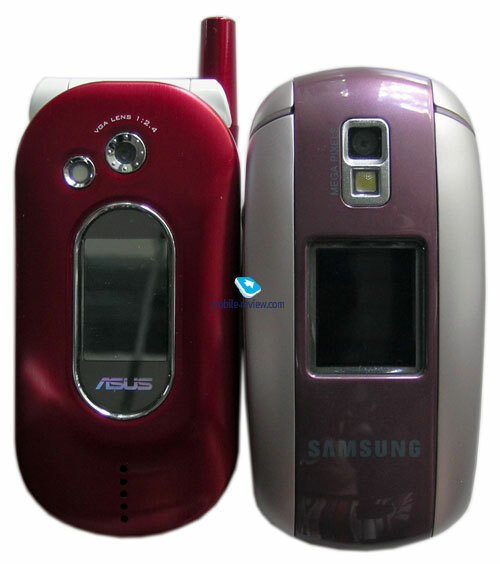 A small external antenna matching the body colour spoils the appearance in no way. 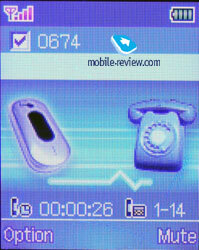 The handset is shipped in four colour solutions; they are silvery, red, blue and golden. 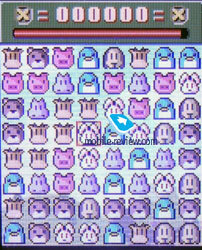 And the internal part of all the variants remains white. 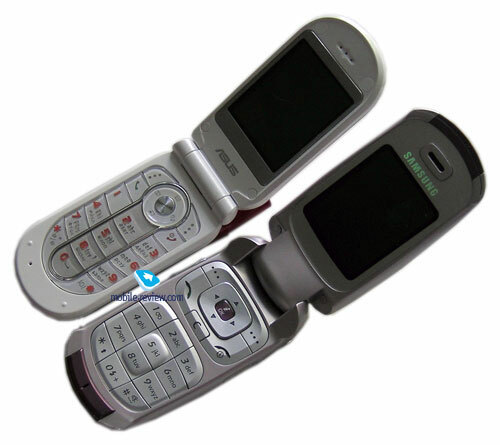 The handset lies well in a hand, and can be easily opened with a hand. A small hollow rounds the body for more comfort when opening. 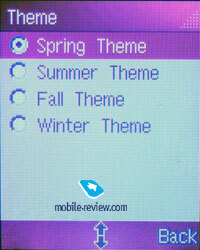 Opening and closing the device causes a low click, and a finishing mechanism works with no problems. 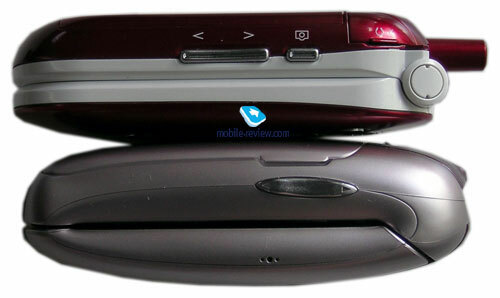 No elements are placed on the right side, and the left one hold a charger connector (a headset is also connected to it) closed with a plastic cover fixed to the body. The shutter happens to be a part of the body, so, having lost it, you'll significantly spoil the appearance. A camera button is placed a bit lower. 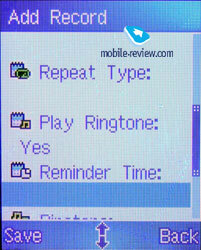 During a conversation it is responsible for a dictaphone work. And a volume button is placed lower. Nothing is seen on the bottom end, and a strap hole is placed on the top. A VGA-camera objective slightly sunk into the body to protect from scratches is placed on the top of the front panel. A flash is near the camera objective, holding a camera button when the device is closed, you'll make the flash work as a lamp. 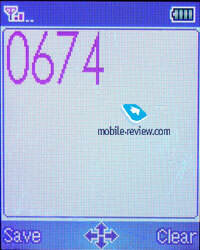 Also the front panel holds a small 262K TFT display with the resolution of 96x96 pixels (14x21 cm). 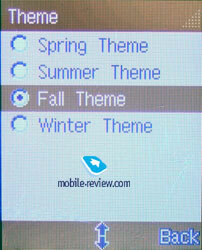 The screen quality is rather high, however, due to the vertical orientation; the manufacturers had to make the fonts small as well as symbols and icons. The display is placed under a mirror surface, and thus even in good light information on it is read badly, and making anything out in the sun is totally impossible. 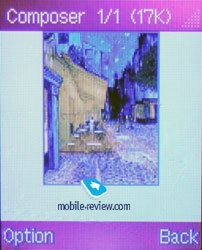 Besides, this surface gets market so fast, and that prevents from reading from the screen. 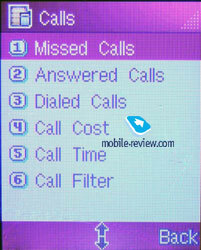 At an incoming call a name or a number of a caller is shown on the screen, as well as a picture or a photo (full screen) if it was assigned to a contact. 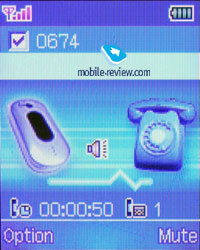 Besides, some information on the call and a number of recoded notes is shown at the end of the conversation (closing the upper part). The external screen shares the backlighting with the internal one, and that's why at opening the phone the external display doesn't become dim and keeps working showing the company's logo. In the very bottom of the mirror surface, under the Asus inscription, a service indicator shining in 7 backlighting colours is placed. And lower 5 loudspeaker gaps are placed; they serve for playing a call melody. 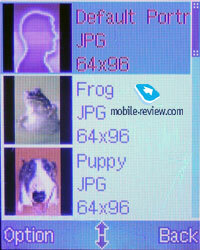 If you open the phone, you'll see a 262K TFT display with the resolution of 128x160 pixels (28x35 mm). 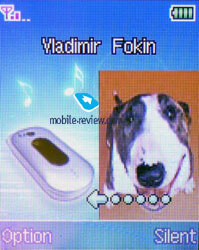 Its quality is quite good, and generally, it may be compared to the ones integrated into Motorola and Samsung products. The screen fades in the sun, but information can be read. The keypad is made of plastic, and the keys are rather rough at pressure. A pressure is followed by a low crunch. 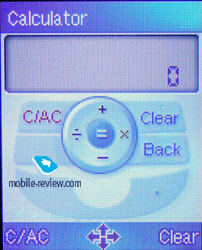 A round 4D navi button slightly projects above the rest keypad; it has optimal size and is comfortable in work. 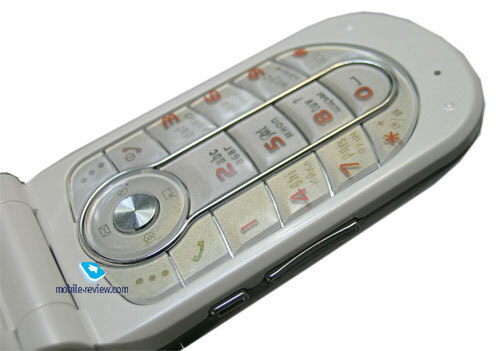 Two functional keys, call answer and cancel buttons are placed very close to the functional one, but despite this no accidental pressures are observed when working with them. Number keys are average in size and a placed very close to each other. 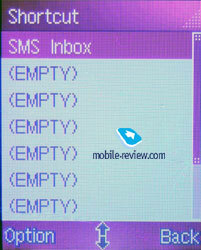 However no problems will bother you when entering SMS/dialing a number. They contain both Latin and Cyrillic characters. The orange even backlighting lights all the characters up well. 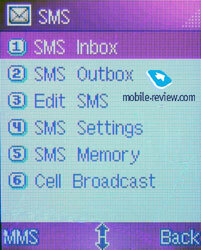 The keypad layout is generally the best possible, the keys are of optimal sizes, and if they were smaller, some users could have problems when working with them. Almost the whole back panel is taken by a 6720mAh Li-Ion battery. It's not perfectly fixed, and there is a slight backlash. Some problems appear when trying to extract the battery, since no projections are present; you'll have to shake the battery out in a literal sense. According to the manufacturer, the phone can work for about 150 hours in standby mode and up to 5 hours in talk mode with a standard battery. In Moscow it lasted for about 2 days in case of 20 minutes of talks and up to 20 minutes of using other functions. 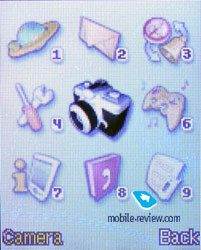 The main menu is shown as 9 icons drawn rather well. Submenus are vertical lists, all the items in both the main and submenu are numbered, and that's why fast navigation with number sequences is possible. 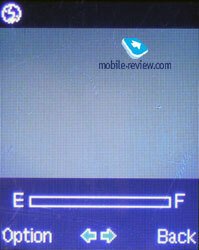 Accessing the main menu is possible by pressing a left functional key from the standby mode. 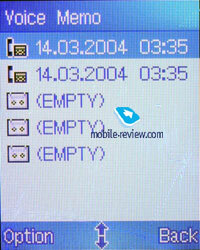 Also when in the standby mode you press one of the sides of the navi button, you call one of the functions. Unfortunately, you can't reassign access to this or that item. 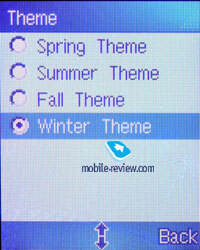 Pressing "Ok" in the same mode you will clear the display and leave only a background image. Localization is carried out not very well, there are no abbreviations, the names of the items that are too long for the screen are shown in a creeping line, but there are many words translated incorrectly. We'll hope this disadvantage will soon be corrected. Phonebook. Up to 300 contacts can be stored in the phone's memory; you can store a name, 4 phone numbers, a fax number, a company name, a short text note, address, e-mail address for a contact. Besides, you can point out the caller's birthdate, gender, assign a picture or a photo (shot in a portrait mode only), record a voice mark, assign a call melody and an indicator colour, and correlate a user with one of the groups. 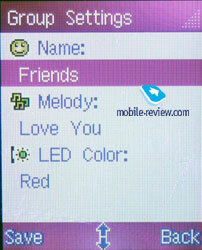 Totally 7 users' groups are provided, you can set a name, select a call melody and an indicator colour for each. Also fast dialing for 9 numbers is at your disposal. 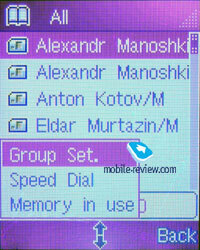 All the contacts are shown in a general list (both from the internal memory and SIM one), a small sign indicating where the contact is saved is placed opposite each contact. 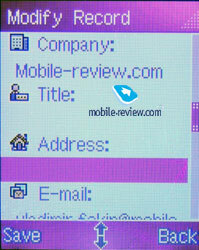 Search in the phonebook is possible both by the first letters and the whole name. 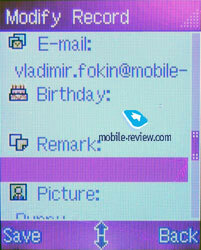 At incoming call a caller's photo is shown as a small picture in the right corner of the screen. Messages. 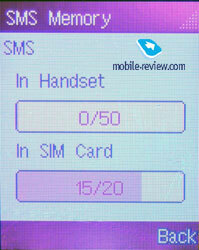 Generally, up to 50 text messages may be kept in the phone's memory. 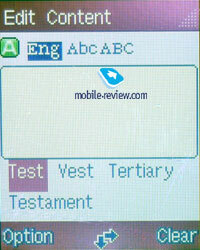 Entering messages makes no problems, and concatenated ones are supported (longer than 160 characters in Roman letters). You can edit any of the 8 preset templates. Both EMS and group message are not supported. 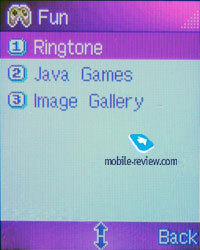 However, the J102 offers MMS function, up to 1451 KB of memory is provided for them. Working with them is quite easy; you can create up to several slides. 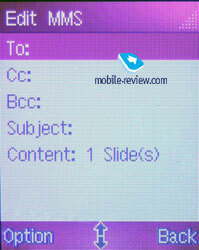 The restriction on the outgoing message forms 100 KB. Calls. 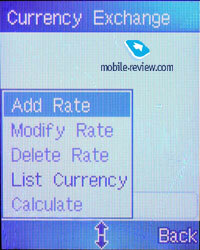 This section holds lists of incoming, outgoing and missed calls, and call duration counters are also here. Also here is a call filter containing a black and white lists with up to 10 numbers in each (for the black list - nine numbers are one unknown call), each list is easy to adjust. Profiles. Here are 5 profiles adjusted by a user completely. Parameters. This holds phone settings, you can set time and date, select a menu language; assign an indicator work to certain actions and etc. 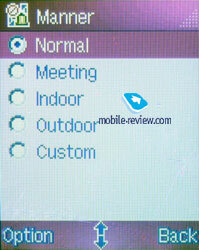 Hot menu is also adjusted here; it is called by pressing the navi button down from the standby mode. 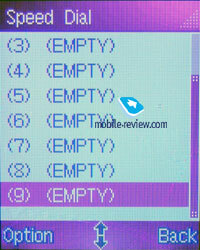 The menu is shown as a vertical list with up to 10 items. 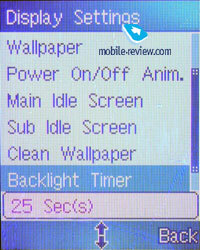 Screen settings allow setting one of the available pictures as a wall-paper, setting backlighting time (from 10 to 25 seconds). 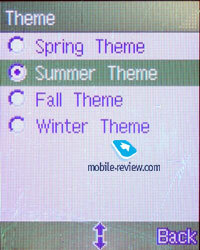 Besides, you can select one of the four colour schemes for the menu. 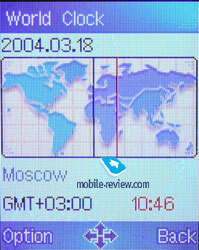 One of the four available clock views may be chosen for the external screen. 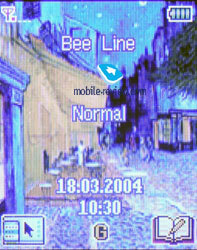 Sound settings allow selecting a signal type, which may be only melody, only vibra, vibrating alert with a melody at once, vibra and then a melody or silent. You can also set call volume, call melody, tune signals indicating this or that action. A plain musical composer by notes is here, up to 5 melodies are for you to create. Entertainment. 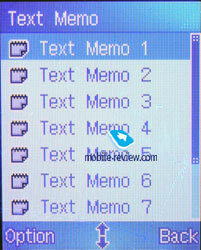 This section duplicates the one called "Call melody", also it contains Gallery with folders, in which pictures and photos are stored. Here is a private folder that may be protected with a password. Java. This section holds Java applications, the device supports J2ME (CLDC+ MIDP1.0.3). 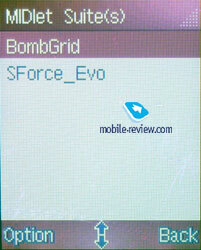 By default two games are preinstalled, they are Bomb Grid (game for logic) and S Force Evo (arcade). About 500 KB are provided for Java applications. Organizer. The calendar can show the whole month or a list of all the events. 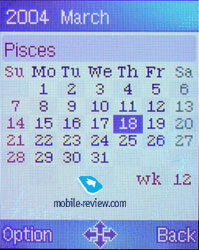 When having a monthly view, the sign of the zodiac that the date falls under is shown on the top, and a week number is shown below. For an event you can set a name, an entry type, start and end time, repetition is chosen (once, daily, weekly, monthly, and annually); a reminder with the time to snap into action is set. 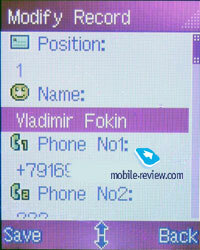 Besides, a call melody can be set and a short text note can be entered. Also holidays are entered; date and a tip are kept for them. 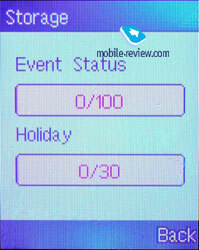 The phone holds up to 100 events and 30 holidays. Alarm clock. 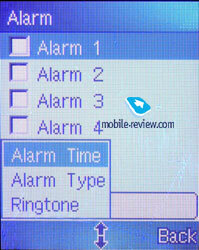 There are 5 independent alarm clocks in the device; you can set time, signal type and melody for each. 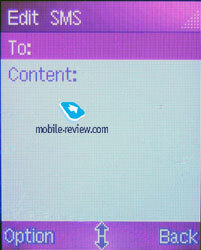 Short text memos are for you to enter (up to 10), a title and a body can be filled for each. Voice memo. 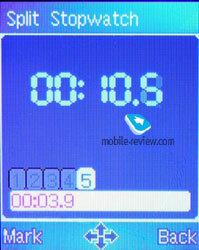 You can record up to 5 entries, the max duration forms 60 seconds. Records created during a conversation are kept here also, they are marked with a corresponding sign. 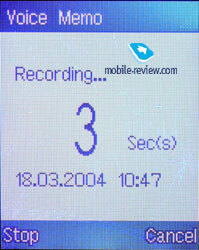 To start recording you need only to press the camera button during a conversation, repeated pressure stops it. The number of created records will be shown when the conversation is over. Voice recognition. Here you can enter up to 10 voice marks for voice dialing and up to 10 voice commands for fast access to the necessary phone functions. 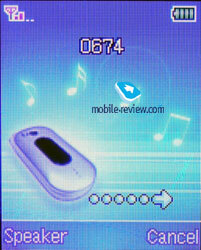 The function is realized rather well, voice is recognized with no problems. 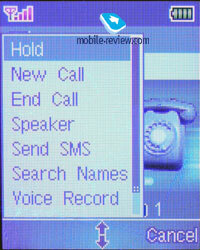 To use voice dialing you need only to hold the camera button in an open mode. 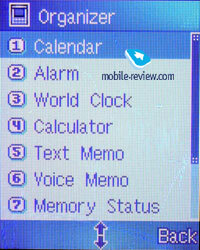 This section holds world time function, a plain calculator, currency converter and a stopwatch with intermediate values. Camera. Camera. Both internal and external displays can serve as a viewfinder. An interesting peculiarity about the phone is to take a photo when the device is closed, you need to open it, run a camera application and close again, only then the external screen starts working as a viewfinder, and you can take photos. And pressing the camera button in a closed mode turns the lamp on only. 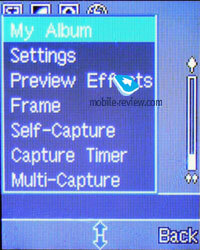 A VGA camera is integrated into the phone, and you can choose one of the following resolutions: 64x96 (portrait), 128x160 (the main screen saver), 320x240 and 640x480. 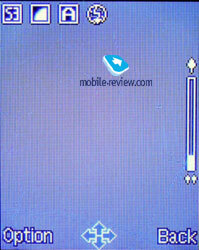 If you selected 320x320 or 640x480 pixels, then the screen orientation turns to horizontal instead of vertical. Also you can select the photo quality (economy, normal, good), a shooting mode (automatic, night, indoors, outdoors), set brightness and contrast, turn multishooting on having preset the interval, and turn on/off the flash. 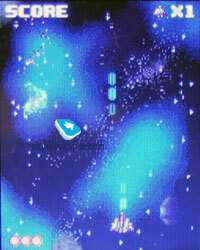 Besides, there is a set of effects and frames. 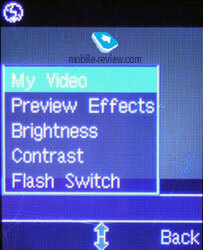 The phone allows recording video with the resolution of 128x96 pixels; the clips are stored as AVI. A record can't exceed 20 seconds. The clips are played smoothly without slowing down. 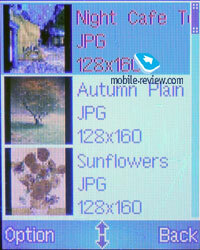 Photos can be viewed as thumbs (three photos are displayed at the same time) or full-screen. 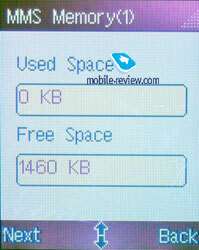 About 1.5 MB are kept for photos. Unfortunately, a cable to connect to a PC is not shipped with the device in the kit, that's why photos and clips are impossible to show. 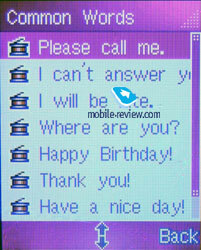 To tell the truth, on the phone screen photos look fittingly. Network. 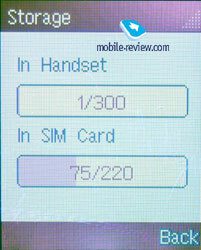 Access to SIM-menu and WAP is hidden here. WAP version 2.0 is installed. The device roused no cavils as for the connection quality. The loudspeaker volume is enough almost in all conditions. Speakerphone works with no problems. 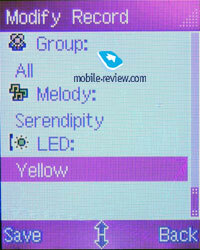 40-tones polyphony is realized in the phone. And a melody is played with a medium quality. A call volume is high, it's hard to miss. The power of a vibra is average. Generally, the device is good, mainly for women; however, some men may like it. The function set is quite appropriate and can satisfy many. 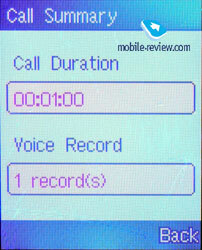 The qualitative main display, rich phonebook capabilities, call filter and voice dialing are surely advantages. And of course, I should mention a good keypad very comfortable in work. 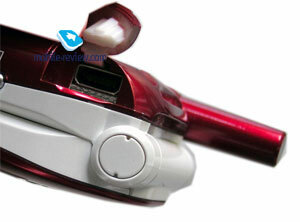 The upper aluminum part is more a fashion element, than a necessity. Insufficient realization of many functions can be referred to minuses, for instance, only 10 numbers can be entered into the white and black lists. Voice marks can count only 10 entries. And the menu is quite considered. The absence of IrDA and Bluetooth are certainly minuses. A mirror cover of the external display is also not the best solution, since the screen becomes almost unreadable with it. Also I disliked the shutter of the interface connector, which is a part of the body, since the appearance will suffer greatly if loosing it. However the fastening seems reliable. 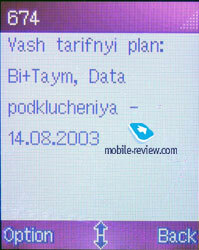 The handset was to be launched in July, but the terms were postponed and the device will appear later. According to the company of Asus, the price expected is 250-300 USD, which is rather high for this product. And the price of 200-220 USD seems more appropriate.